Cohen wrote the poem in March 2015, two years after the rapper declared “I am Picasso. I am Michelangelo. … I am Steve Jobs.” Clearly, the “Hallelujah” singer did not agree with West’s assessment, rejecting the rapper’s claim to be such an artistic luminary. 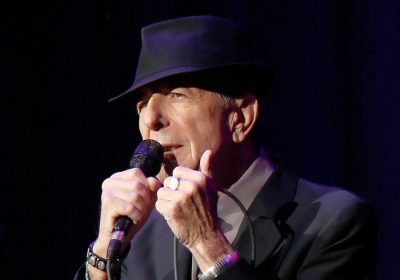 Cohen also name-checks Jay-Z in the poem, saying “Jay-Z is not the Dylan of anything.” Bob Dylan was Cohen’s contemporary and close friend, though they had a somewhat competitive relationship. Cohen once told the New Yorker magazine that Dylan told him, “‘As far as I’m concerned, Leonard, you’re Number 1. I’m Number Zero.’ Meaning, as I understood it at the time—and I was not ready to dispute it—that his work was beyond measure and my work was pretty good.” Interestingly, Jay-Z had a song/art piece called “Picasso Baby” in 2013. Cohen’s poem reads as somewhat prescient, since West’s album “The Life of Pablo” dropped in 2016. But West has compared himself to the great modern artist several times; in 2015, during a speech at Oxford University, he name-checked Picasso again, and in 2016, backstage at “Saturday Night Live,” West was recorded talking about Stanley Kubrick, Picasso and the apostle Paul, saying that he is 50 percent more influential than any of them and would be for the next 1,000 years. Cohen died on Nov. 7, 2016. The baritone-voiced Canadian singer-songwriter was best known for hits like “Hallelujah,” “Suzanne” and “Bird on a Wire.” He was 82. « Think Yoga Isn't Tough? Try to Survive This Class.